New Lego set coming out later this year. 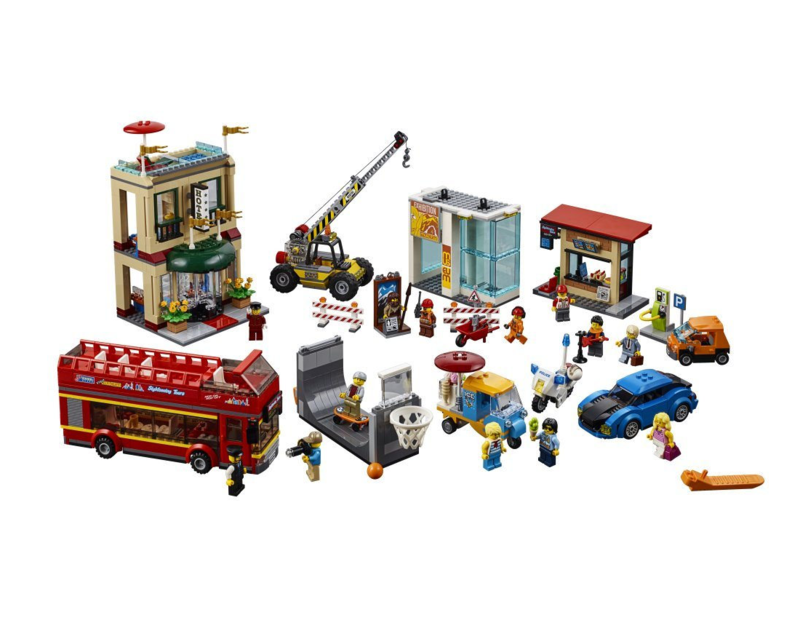 Includes three buildings, city bus, skateboard ramp, two cars, crane and many different mini figures. 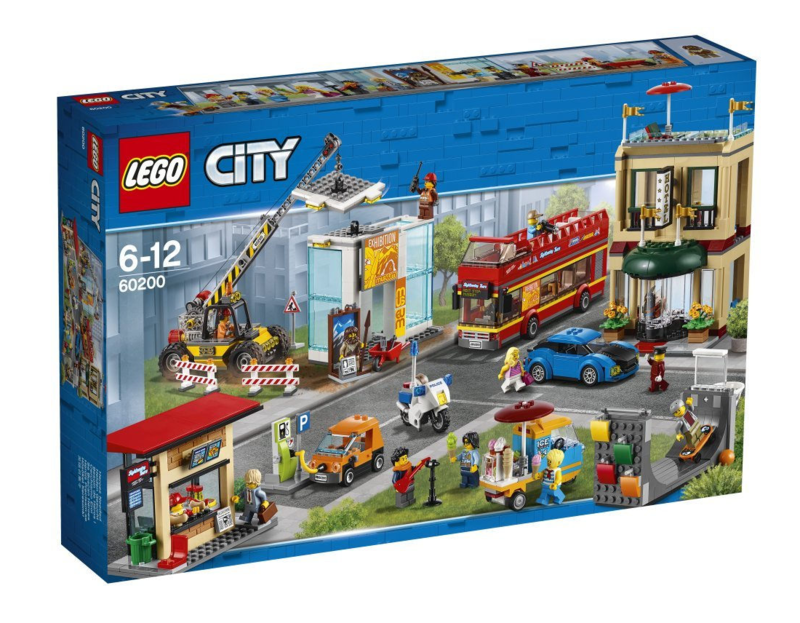 Great ”Lego city starter set” for younger kids! First of the buildings is a small scale hotel with two floors. Another house is a museum, designed as a glass box. This is a moveable construction and can be lifted with an included crane vehicle. Finally there is also a neat little brickwork hot-dog stand. Not large but has all the functions and printed signs. The vehicles are a small electric orange smart car, one blue fast sport car, ice-cream food truck and a bus. It looks like a tourist tour bus made to transport a number of mini figures. All different elements create a playful enviroment.